If you want to lose weight, you will need to go on a diet. In fact, with such a large percentage of the population currently overweight, many of us are dieting right now! Sadly, out of every 100 people that start a diet, only five percent ever reach or maintain their target weight. The remaining 95 percent quit their diet and often regain the weight they have lost. Another main reason that diets fail is that they use prohibition to reduce your calorie and food intake. Prohibition means that most diets “ban” certain foods and force you to under eat. While this is necessary for weight loss, it can have certain psychological ramifications. Whenever you are “told” by a diet not to eat a particular food, your attitude to that and similar foods change. 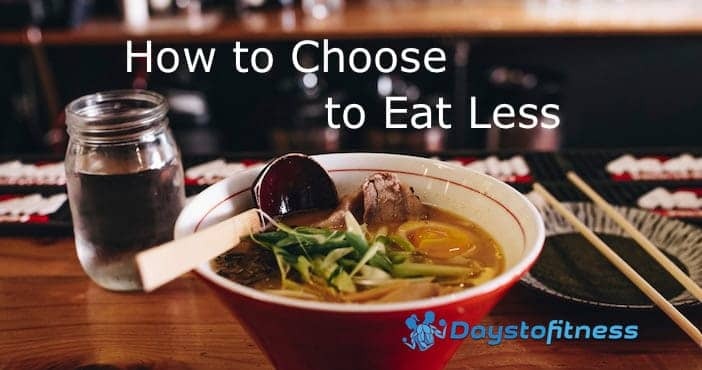 In most diets, you are told not to eat the foods you like and to replace them with less fattening but often less enjoyable foods. This can trigger feelings of resentment that make you want to break the rules and overeat. Also, this severe restriction can cause an unhealthy preoccupation with food; when you are on a diet, all you can think about is food! Thinking about food all the time will not make your diet easier, that’s for sure, and is why so many diets include treat meals so you can indulge in the foods you are missing. Sadly, most people turn these treats into cheats and end up eating much more than they should. These phenomena were explored in a landmark study way back in 1945 by the University of Minnesota – the Minnesota Starvation Experiment. Four-hundred people were fed a low-calorie diet for six months, and their physical, and emotional responses monitored. During this time, they were limited to certain foods and around 1600-1800 calories per day. At the end of the study, the food intake was gradually increased for 12 weeks and then the subjects could eat whatever they wanted. During the study, most participants developed unhealthy attitudes toward food, developed food obsessions, and even displayed signs of social withdrawal. This was not a happy group of dieters. Mental and physical performance declined although because the participants could only eat what food they were given, they did lose weight. Once the study ended, and participants could eat whatever they wanted, a large percentage obsessively overate and gained a lot of weight. In fact, those that suffered from this “binge reflex” continued to overeat for an average of two years. This happened to participants who had no history of being overweight before the study. It seems that, for some people, dieting is more of a psychological chore than a physical one and it’s the foods that we can’t have that end up being the ones we want, and want, and want some more. Because of this, most (95%) dieters eventually quit their diet and overeat and this cancels out any benefits of the diet in the first place. This is what many experts call yo-yo dieting – lose weight and then gain it back again. Diets, it seems, are made to be broken. These problems and issues all come down to one thing: choice. People like to have free choice. We choose what music we listen to, what TV programs we watch, what books we read, what clothes we wear, and what food we eat. Diets remove that choice, and that loss of choice makes many people want to rebel. Try this; DON’T think about elephants. Now, what are you thinking about? Is it big, gray, with large ears? I bet it is! We tend to want to do the things we are told not to do which is part of the reason very restrictive diets don’t work for long. At some point, your willpower will crack, and you will eat lots of the foods that have, up until now, been banned. Even if you aren’t on a diet, this prohibition attitude can prevent you from eating healthily. Most people know that they should eat less processed food and more vegetables and fruit. However, knowing that this is what you are supposed to do and what is expected of you means that, already, many people are resistant to doing it. We know we are supposed to eat healthily, but then that means we’re doing something that we might not want to do. Subsequently, we feel railroaded into making healthier food choices and rebel against that but eating more junk. So, what is the solution? The answer is simple – give yourself permission to eat whatever you want. Yes, you CAN eat a few cookies if you want to but you can also eat vegetables if you want to. Don’t label your food choices as right or wrong; just choose the food you want to eat. But, when you do eat your preferred food, notice how it makes you feel – both physically and mentally. How do you feel after eating junk? Compare that to how you felt after eating vegetables. Base your food choices not on what you are told, but how you feel. Remember, food is not evil – veggies are not made by God while the Devil makes sugar! However, different foods affect your body in very different ways. No food is banned; you really can eat whatever you want – it’s your choice. However, if you want to lose weight and be healthy, those requirements should influence your food choices. Eating healthily is not a question of good food versus bad food, it’s merely the process of choosing foods that are right for you. Watch this amazing Ted Talk about “The Mindset for Healthy Eating“. It’s a fact – 95 percent of diets fail, and if you have tried and failed to lose weight by dieting, maybe you need to change your mind more than you need to change your diet. Stop labeling food as good or bad and, instead, choose your food based on how it makes you feel and what you need it to do for you. Give yourself permission to eat whatever you want, and you may find that eating healthily and losing weight comes naturally. Next Article How Do You Stop Hunger Cravings?